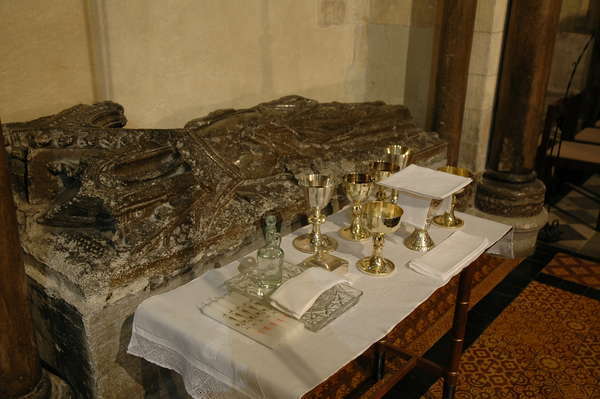 Notes: A brief description of the background to the Paschal Vigil, now called The Easter Liturgy, taken from notes supplied by Canon Ralph Godsall, Precentor of Rochester Cathedral. From earliest times Christians have gathered through the night of Easter Eve. The Easter Liturgy is not merely a presentation of Gods work in history. It is meant to be a real experience of new life, a passing from darkness to light which offers hope to all the faithful. The earliest Christian observance of Easter consisted of watching and waiting, fasting and prayer that lasted through the hours of darkness. 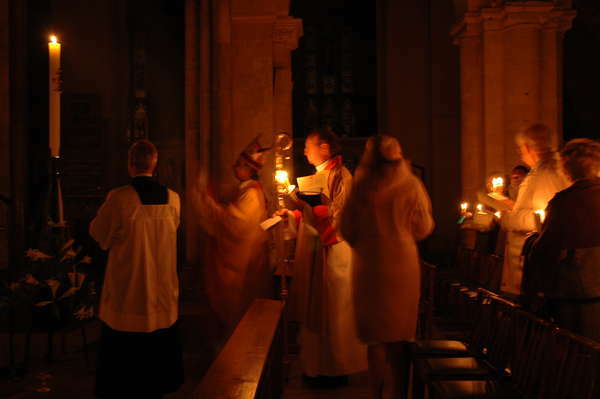 Because the vigil began after evening prayer when, as every night, the evening candle was lit, in the Western Church on this particular night (Easter Eve) this light ceremony came to be understood as symbolising the return of the light of Christ and the beginning of the Easter celebration. 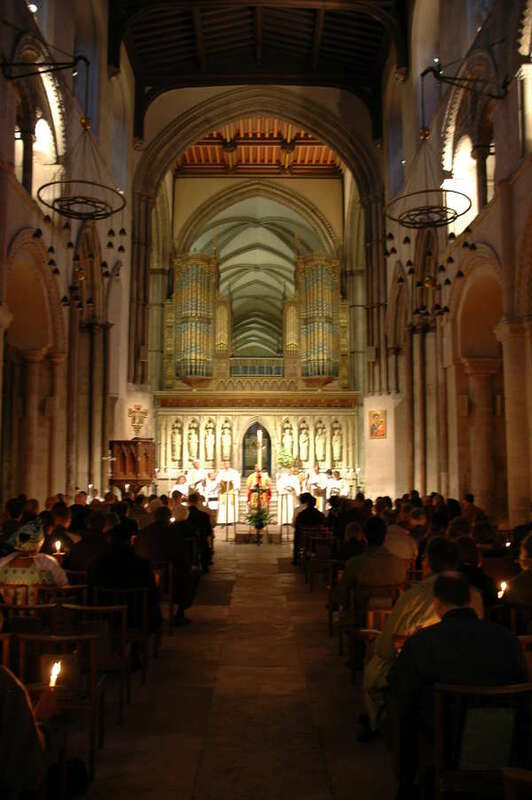 The Easter Liturgy begins well before dawn at the cathedral at 5.00am. 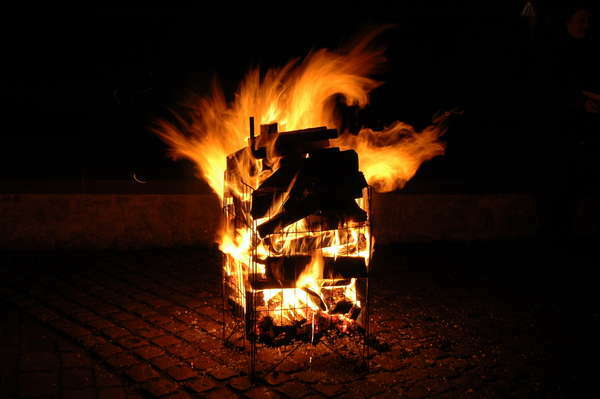 It begins with the lighting of a new fire from which the Easter Candle is then lit. The Easter Candle is carried into the dark church and candles held by individual worshippers are lit from it. 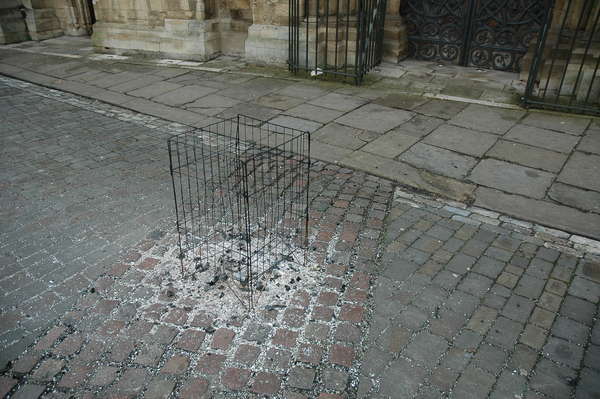 This symbolises the spreading of the light that the resurrection of Jesus brings. 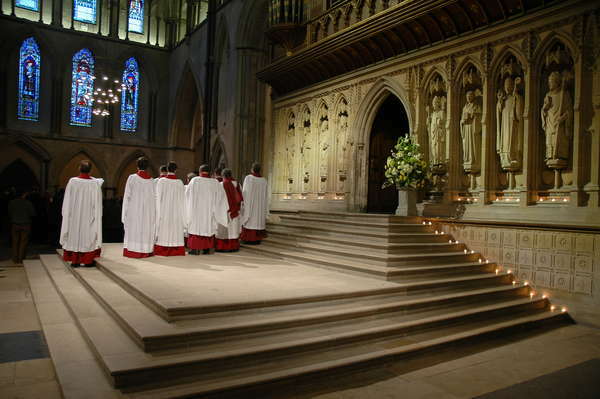 The candles illuminate the cathedral. The story of salvation is told and in the darkened church (lit only by candle light) worshippers are invited to reflect upon their own personal journey in the light of the Easter revelation. 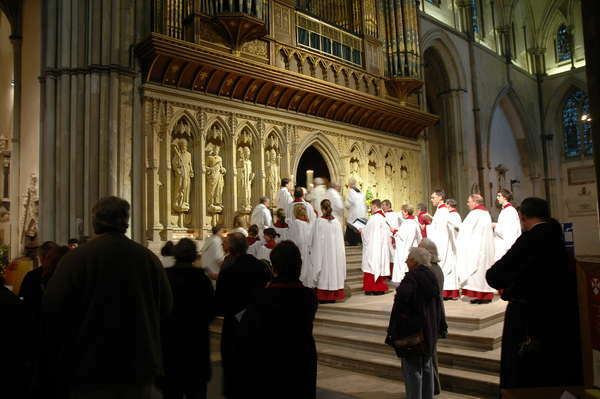 The readings reach their climax with the reading of the Easter Gospel, the ringing of bells and the singing of the. 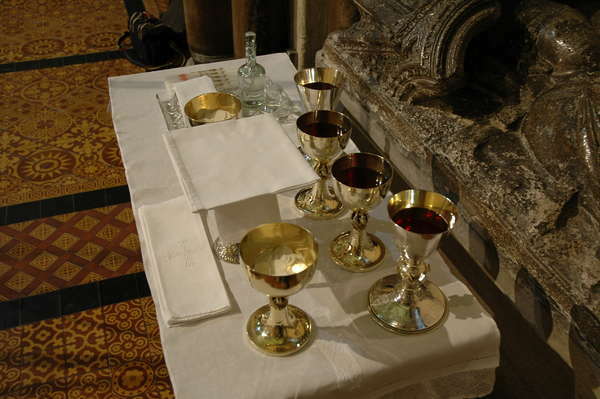 The Eucharist is celebrated as dawn breaks and the first communion of Easter is made.